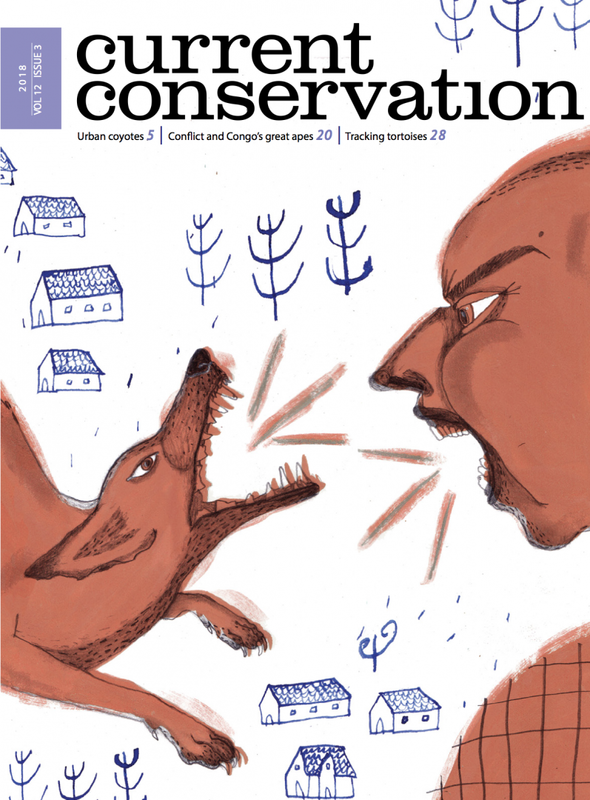 We open this issue with Janet Mays Carpenter’s account of the human-coyote conflict, and the drama that is played out in urban areas in Colorado. Priyanka Hari Haran narrates her encounter with colour in the forests of the Western Ghats through the delightful array of birds that she encounters during her field visit. Rachael Knight writes about community-led approaches to secure customary and indigenous land rights and the role that Namati plays in facilitating these processes. Michael Adams uses opercula—the little lids that marine snails use to close their shells—as a metaphor for both persistence and change. So much of today’s conservation is about separating humans and nature, but shells and opercula remind us of the long relationship we have had with the ocean. And what we can learn from communities that have lived closest to it. Chrissy Henriques brings us back to the issue of conflict, and how the mining of minerals (for products such as cell phones) and other factors are threatening the survival of Congo’s great apes. Nearly a decade ago, CC (Issue 3.1) put together a special collection of articles on field assistants as a tribute to their contribution to ecology, biology and conservation projects in India. We revive this with Madhuri Ramesh’s entertaining account of her adventures with Ganesan anna, the story of a young field biologist and a crusty but ultimately invaluable field mentor. We also carry Rohan Chakravarty’s comic illustration of a Research in Translation, featuring a paper on the effect of dams in the Andes on fish populations.